Vivaldis recently conducted its launch in New Delhi, Mumbai and Chennai. 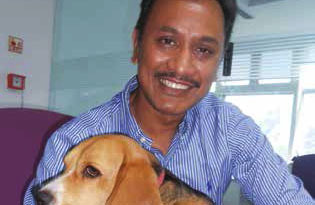 OP Singh, chairman, Vivaldis spoke on the growing trend of petcare industry in India and abroad. Prof Yathiraj, dean, Bangalore Veterinary College and member of Global Nutrition Committee, spoke about common lifestyle diseases in pet animals, root causes and remedies. Dr Eduardo Sanz, scientific managing director, Catalysis and knowledge partner of Vivaldis from Spain as a speaker talked about the role of antioxidants in treatment of various lifestyle diseases.